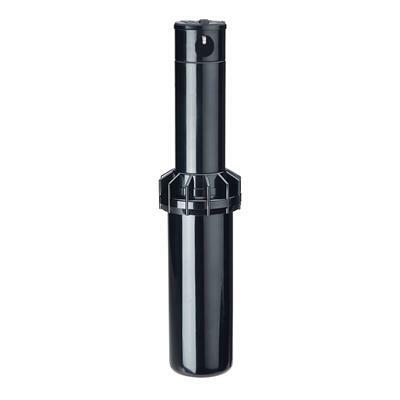 3/4" RPS75 Rotor Sprinkler with No Nozzle. K-Rain’s RPS® 75 gear drive rotor is designed for residential and light commercial applications. The reliable, durable design is the foundation of K-Rain’s RPS Rotor line. This workhorse is built to perform trouble-free for years and has unequalled value in the market. Our patented reversing mechanism, on which all rotors are based upon today, assures continuous reverse and return. With K-Rain’s wide selection of standard and low angle nozzles, the RPS 75™ provides even water distribution. A direct replacement for the Hunter PGP® rotor, with our time-proven, patented reversing mechanism (the same used in the Hunter PGP®), the RPS75® drops directly in an installed Hunter PGP® can. This model has no nozzle. Full and Part Circle Rotation – Provides a full range of adjustment from 40° to 360°.